An IBM finding indicates that leaders are 166% more likely to make most of their decisions based on Big Data. It was also reported that 1,820 terabytes of data are created every 60 seconds (see our recent webinar for a more in-depth discussion of these findings.) 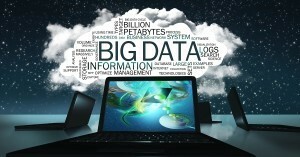 It is becoming nearly impossible to avoid Big Data as a business leader. Today, it is more important than ever for organizations to fill leadership positions with people who have these critical analysis skills. Leaders need to be advocates for Big Data, otherwise organizations may never be able to access all of the opportunities afforded by these vast amounts of information. The success of big data and analytics, regardless of which comes first, is critically dependent upon executive leadership and the culture which they foster. In order to meet the new and growing demands of Big Data, many organizations have added a new role to their C-suites, which typically takes on the title of chief information, marketing, strategy, or risk officer, chief data officer, or chief analytics officer. One of the most important tasks for leaders is establishing a new mindset that emphasizes the importance of Big Data. If you find yourself in this position, start by asking yourself, where do we want to improve? Potential improvement areas will be what guide strategy, direction, and culture in terms of how Big Data will be utilized. Leaders need to recognize that dealing with Big Data is very different than dealing with “small” data. The risks are simply not the same; there is more at stake with Big Data because of the variation that accompanies larger data sets. It is physically impossible to examine each individual piece of data, so representative samples need to be analyzed. With massive amounts of data, you will likely need to find new and more powerful analytical techniques. In addition, leaders may also need to organize data teams specifically for this type of data management. This may even mean locating experts from outside the organization; business analysts and data scientists are specifically trained and may be much more capable of doing this type of work. For tips on how to overcome the challenges associated with managing Big Data from a leading management consulting firm, check out our webinar on demand.